It looks a fair amount like Tourment Absinthe, but this time around it’s beer. 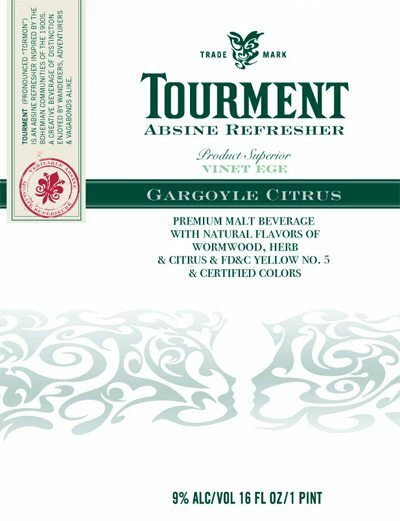 Or, more specifically, Tourment “Absine Refresher” Gargoyle Citrus is a malt beverage with wormwood and other flavors. 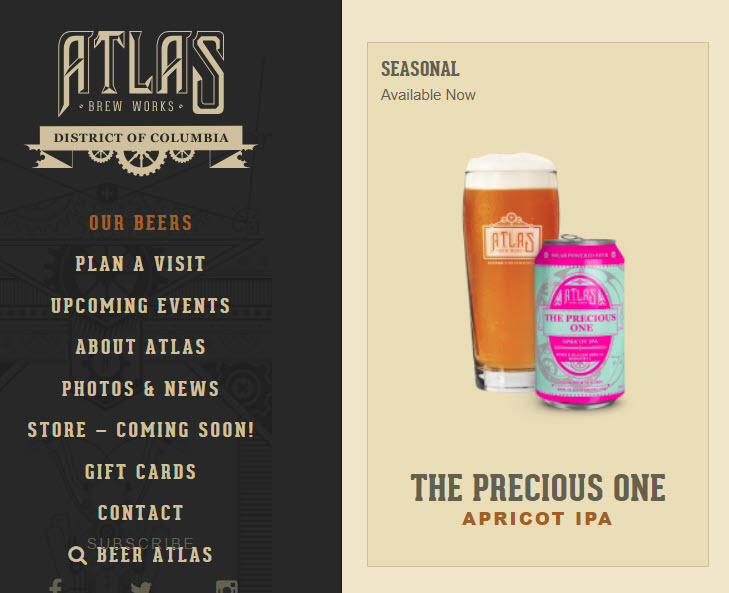 The product is made by City Brewing Company of La Crosse, Wisconsin, and it has also been approved in a Bohemian Berry version. 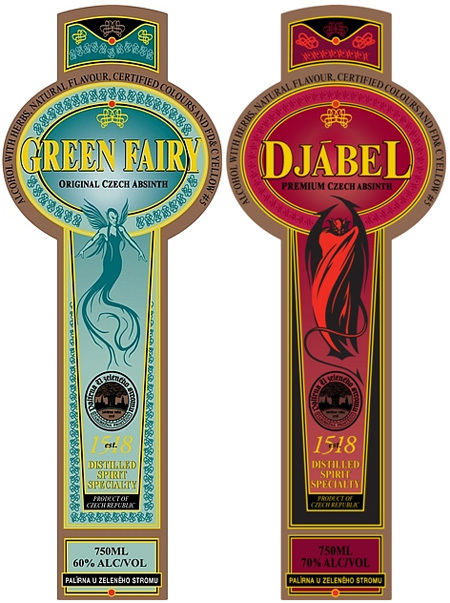 From time to time, TTB explains that there is no specific US standard for “absinthe,” so we wonder if it was really necessary to drop the TH out of ABSINE. 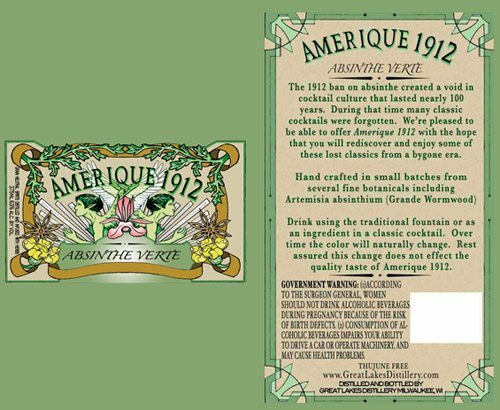 This absinthe label does a good job explaining the recent history about absinthe. It explains that absinthe was banned from 1912 until almost 100 years later. More of the story about legalization is here, and the the first 20 or so products approved for US sale are listed here. Amerique 1912 is distilled by Great Lakes Distillery in Milwaukee, Wisconsin. It is also one of the few absinthes that states “thujone free” on the bottle. Here (above) is the COLA for Pernod Absinthe, at long last. It was extremely difficult to find, in TTB records, and a lot of absinthe enthusiasts have been looking for the COLA for upwards of a year. 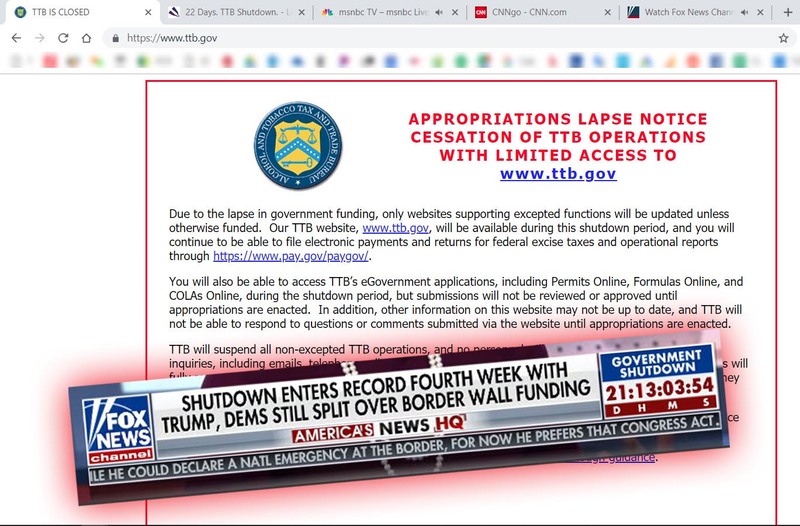 For example, Alan Moss’ Real Absinthe Blog does a great job tracking all the US-approved absinthes, but he too was not finding the approval. As of today his blog says “Pernod Aux Extraits de l’Absinthe: announced … for July 2008 launch. … Where is the label approval?” We think it’s fairly interesting that the Pernod label, for some reason, lists CERTIFIED COLORS AND FD&C YELLOW #5 in big text on the front label. 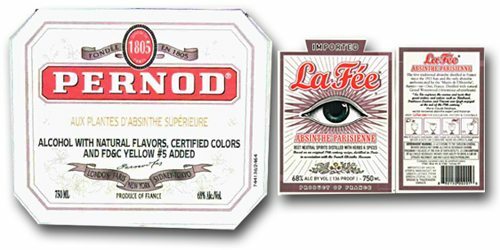 But the comparable La Fee absinthe shows “caramel color & certified colors FD&C Blue #1 & FD&C Yellow #5” in much smaller text, on the back label. 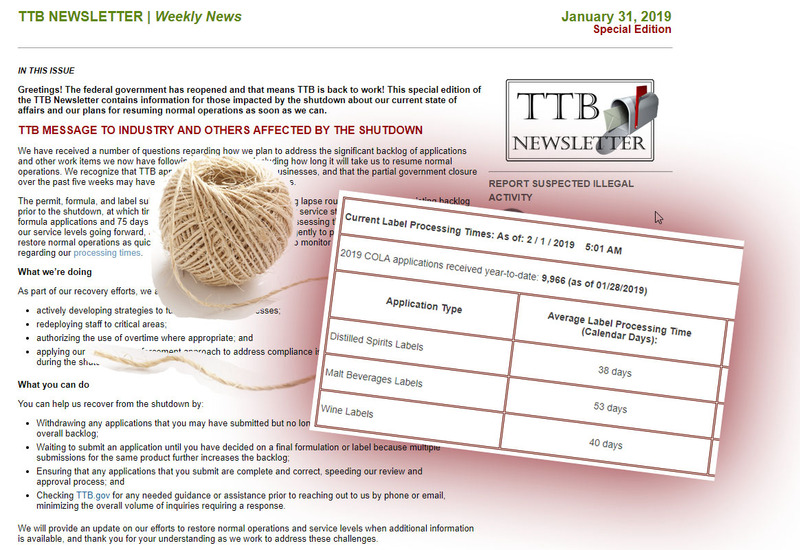 serving facts/allergens fda writing/witty/funny craft hybrid procedure current events policy container would you drink it? legally interesting/controversial origin litigation processing narrowed demographic risqué history media buzz brand extensions drinkwire organic/vegan/green famous speaks for itself dairy functional rejections type sin therapeutic unlikely combinations ingredients sexual speech trademarks-beverage music-booze-society international political formulas APTs statement of composition non-liquid business strategy caffeine/secondary effects design would you approve it?